In our March/April issue, we included a roundup of new technology that could improve a solar company’s customer service capabilities, whether it was through quicker project design, better proposals or advanced monitoring capabilities. Aurora Solar was one company in the roundup, which provides one of the best PV design and proposal systems out there. About 50,000 PV projects a month are designed with its Aurora platform. The secret sauce is in Aurora’s algorithm for generating a 3D reconstruction of a building, laying out prospective system designs on top and simulating the sun’s path over the site. Using Aurora’s algorithms, installers can quickly generate an accurate report detailing the irradiance and shading. In fact, the US Department of Energy’s National Renewable Energy Lab (NREL) has validated that Aurora Solar’s Shade Reports are statistically equivalent to on-site measurements and rebate authorities around the country will accept its offsite reports in replace of those on-site inspections. Aurora even recently improved upon its system, partnering with Nearmap for a serious upgrade to its site image interface. 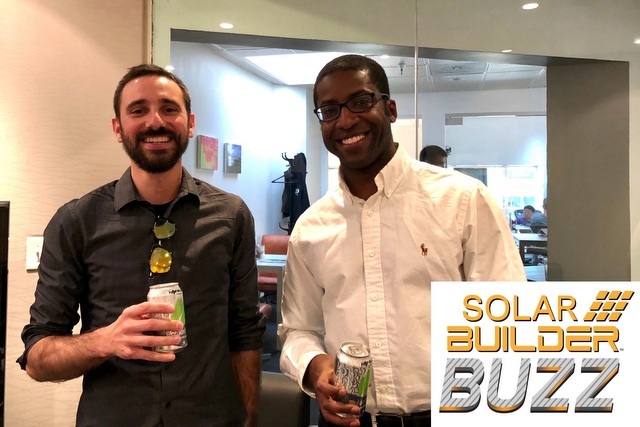 All of that sounded pretty neat to us, so we stopped by Aurora’s offices in San Francisco to chat about all of it with COO and co-founder Sam Adeyemo for the latest episode of our Solar Builder Buzz podcast. 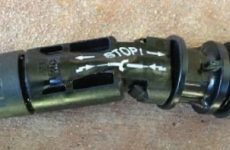 We get into the keys to off-site design and shade analysis and the evolution of mass customization in the solar industry. We also explore what we consider to be the most impactful piece of this puzzle: how sophisticated sales proposal tools could shape the future of smaller, regional solar companies. Below is an excerpt from that part of the conversation, in which Adeyemo explains the hilarious, arduous, but ultimately satisfying development of that sales proposal tool. Be sure to listen to the full conversation (and subscribe) at the end of the post. SB: How did you develop the sales proposal tool? Adeyemo: “When we were developing our proposal tool … remember we’re technologists. 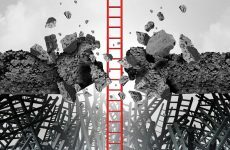 We develop software and infrastructure. And about two years ago we thought, we have this shade and financial analysis, but we need something that ties this all together. We can’t have people taking screenshots or using PowerPoint. We just want to wrap it up in a neat bow and take this all to the customer and wow them. “We spent a ton of time – almost a year building this. At the end we say, ‘Ta da, here it is!’ And they open it and are like, ‘but it’s blank.’ And we’re like, ‘yea! That’s the point. It can look like whatever you want!’ So, people started to use it, and we looked at some of the results, and it was terrible. Stuff was overlapping … the solar community is good at designing and installing, but visual arts might not be their thing. So, after a few months it became clear we had to do something. “… We may not be the experts in visual design, but someone out there is. We got this awesome brand consultant Katherine Glass [of SpringMark Branding]. She’s worked with companies like Starbucks and Bank of America. If we can get her expertise and apply it to the whole industry, that would be awesome. So we got her, and she did a bunch of customer interviews. We invited a range of solar installers to our office and had a full day roundtable. 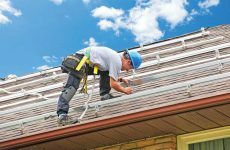 We had one guy who said, ‘I’m not a solar installer; I’m an activist who installs solar.’ We had another guy who said, ‘I’m a consultant.’ Another saying they were more of a corporate person. So it was great to get this diversity of opinions. And Katherine presented consumer research and got some good feedback. From there, we had a good design, and then we got some professional artists and designers to put together the proposal. All of this took another year.